206 Hip Hop at Folklife 2009! come through this Sunday @ Folklife Festival to see some good 206 Hip Hop! 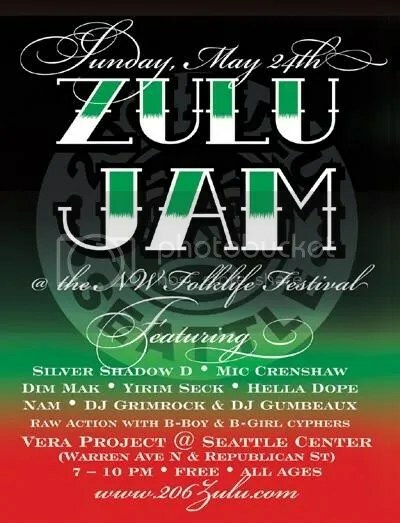 I will be rockin along side with Hella Dope, DJ Silver Shadow D, Yirim Seck and many others in the 206 ZULU Jam showcase!